SitterAdvantage™ is the new app developed by stay-at-home dad Brian Presley and designed to have emergency help in the palm of the babysitter’s hand while helping the sitter do more than just let the kids watch television. The app also features links to the website whattodowiththekids.com where you’ll find a great collection of games, crafts and activities that don’t involve electronics or batteries. Developed in part by the students of Ottawa’s Algonquin College, it is now available on Google Play and the App Store. For the cost of a cup of coffee, babysitters and nannies can become better at their job while parents will have the peace-of-mind in knowing that their kids are happy and safe. When the sitter arrives, it takes only a few minutes to enter important information about the kids including any handicaps, allergies or medications they may have. A photo is also taken and becomes part of the kid’s profile so that in the event of an emergency, all of the important information is available for the sitter to pass on to the authorities. All information is secure since the app does not transmit information and all of it can easily be deleted at the parent’s request. An emergency button appears on every page of SitterAdvantage™ and with one touch, the Call 911 icon appears allowing the sitter to call for help and if they are out of the house, the Show My Location icon uses the phone’s GPS to find where they are so that help can find them. The home address along with the profiles of all the kids and parent’s contact information are also displayed so that there is no delay in providing the right information to the 911 operator. Parents also have one less thing to worry about when they have instructions for the sitter. The Task section allows the sitter to enter the task, instructions and can set a reminder so that nothing gets missed. It’s a great feature to help put the kids to bed on time or for the really important things such as when to give medication. With links to whattodowiththekids.com, the sitter can keep the kids away from a screen by finding the right games, craft or activity to play with them.The resources section also feature checklists that will help the sitter or nanny choose a job, prepare for it and offer advice on what to look for when they arrive at the job. 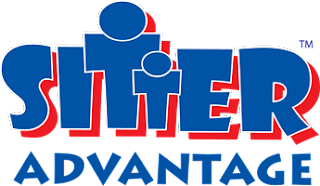 Other apps can help you find a sitter or nanny but SitterAdvantage™ is the app that will make that sitter or nanny better. SitterAdvantage™ is available for the iPhone and Android smartphones. 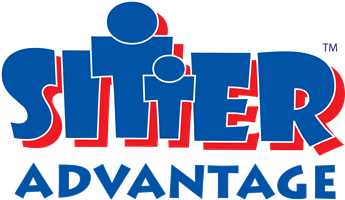 More information about how SitterAdvantage™ works can be found at www.sitteradvantage.com.